“Fantastic group! 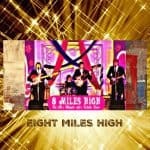 Eight Miles High 60s party band. It’s like seeing myself in the early 60’s!!!!!! Keep it up lads.” Ray Ennis, lead singer of the Swinging Blue Jeans, September 2008. 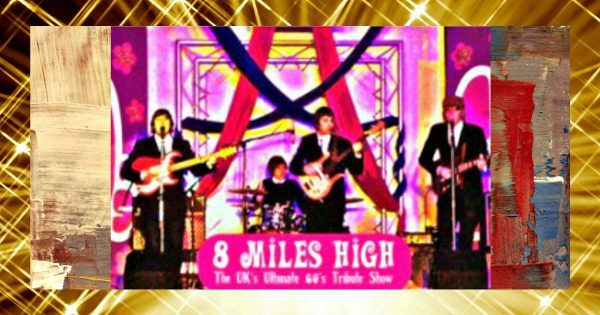 “We booked 8 Miles High for our wedding in August this year, the chaps not only looked the part of young sixties band, straight out of Liverpool, but with an authentic sound we had the dance floor fully all night. Our guests are still talking about the wedding three months on, the band deserves much of the credit for playing such a good set. Good luck to band, and please pass on our thanks again.” Dan and Lynda Huelin, Wedding. Request a booking proposal quote for your next event. Mention your budget.